We are now accepting OASIS applications for the 2019-2020 school year! Click HERE to complete the application. The deadline is June 1st. Armuchee Middle School took home the team title in the 2019 Floyd County Schools Middle School Math Competition. 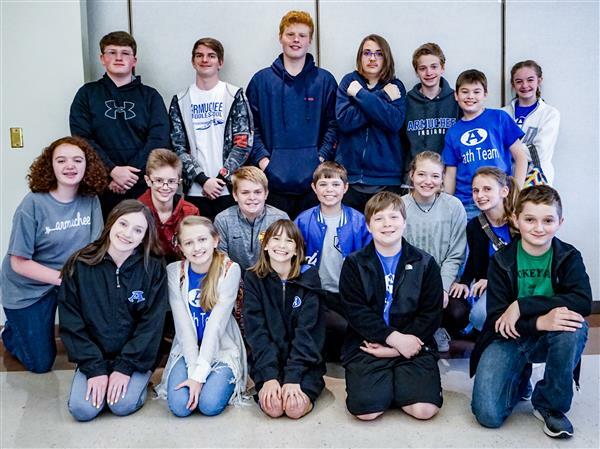 The annual academic competition was held on Wednesday, April 3 at the Rome-Floyd County Library with teams of sixth, seventh, and eighth-graders competing from each middle school in the Floyd County school system. Three Floyd County high school juniors have been selected to participate in the 2019 Governor's Honors Program this summer. Floyd County Schools is proud to congratulate Barton Sopata, Shiloh St. Clair, and Micah Veillon!